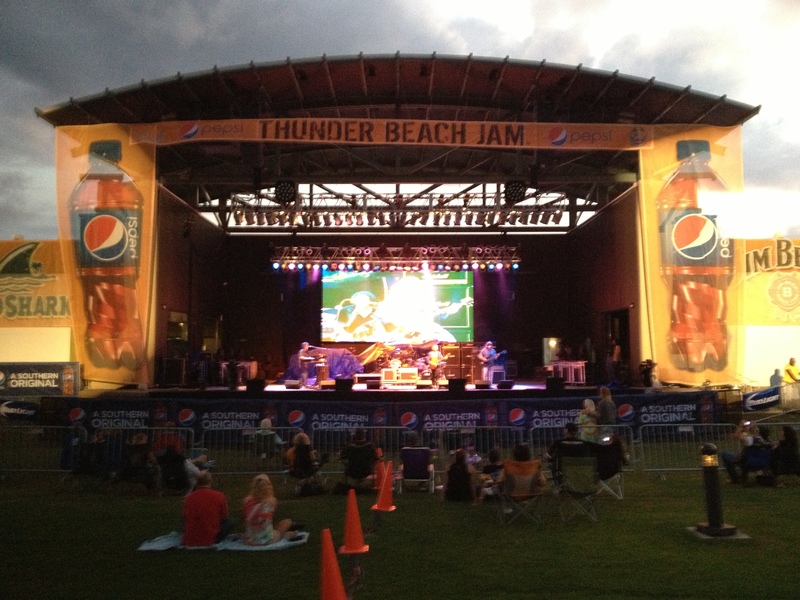 In October 2014 Southern Sound and Lighting handled the production for Thunder Beach Jam in Panama City Beach Florida. 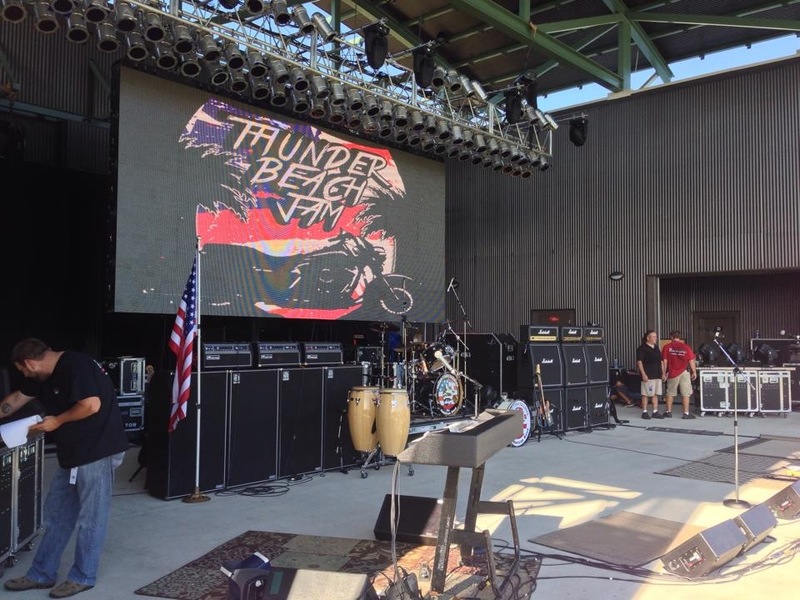 This event was located at the amphitheater by the Pier Park Mall in PCB. 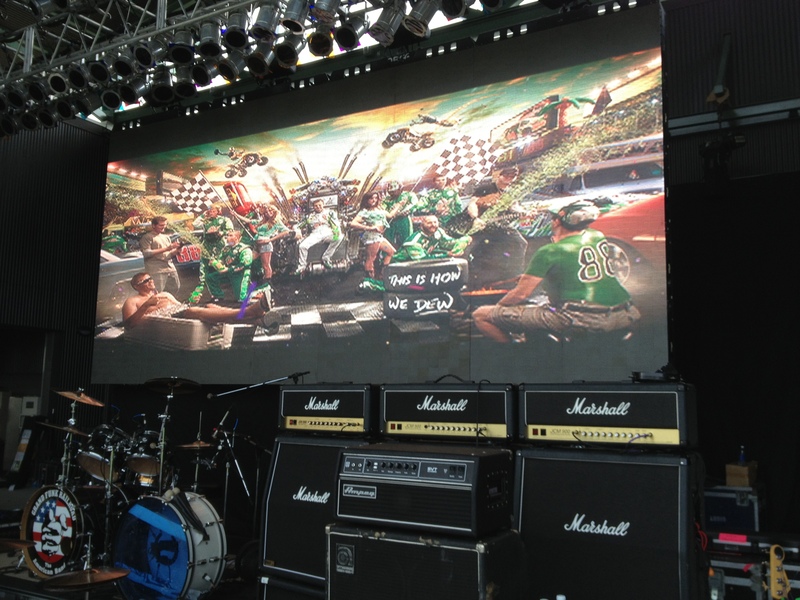 We provided the sound, lighting and video for this event. The talent included; The Kicks, Floored, Band Finger, John Kay and Steppenwolf, Cheap Trick and Grand Funk Rail Road. Unfortunately, this two day festival, during bike week, was canceled due to hurricane watches on the second day. 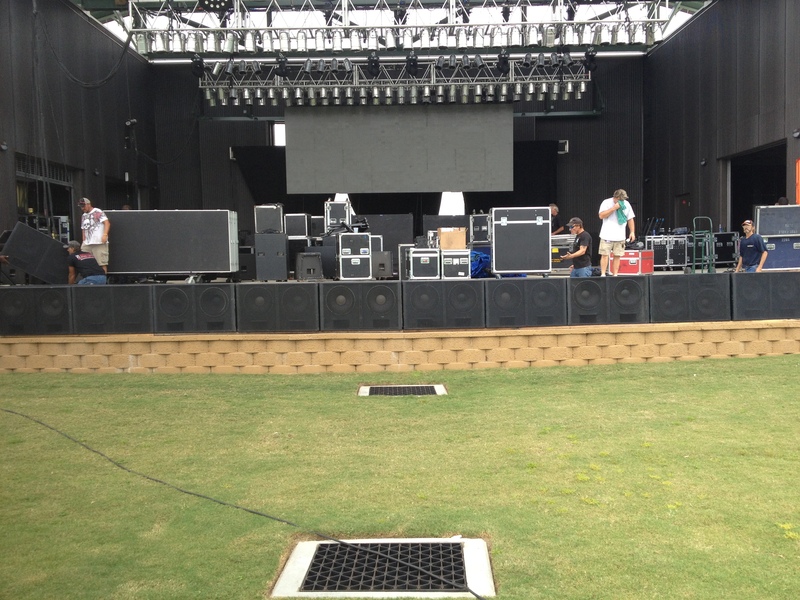 This is what the stage and setup looked liked before the event was canceled for safety reasons.